We are interested in how various neurotransmitter systems coordinate to exert their functions in the brain; how neurotransmitter receptors and their signaling contribute to neurological and psychiatric disorders. Receptor communication and signaling integrations happen at various levels. Our previous research showed that receptors as a protein complex mediated learning and memory process, ischemic stroke, addiction, depression, and schizophrenia. At cellular level, receptors spatiotemporally coordinate and affect downstream intracellular signals as well as cell excitability, which further affect neuronal communication via long and short term synaptic changes. Receptors also mediate the local neuronal communications to form functional nuclei. Eventually at highest complexity level of neurociruit, functional nuclei at different brain areas connect through direct or indirect pathways to fulfil specific brain functions, such as attention, emotion, learning and memory et al. Our studies as well as previous results support the general hypothesis that receptor coordination deficiency at any of the above mentioned levels leads to neurological and psychiatric disorders, including ischemic stroke, neurodegenerative disorders such as AD and PD, or schizophrenia, depression, and drug addiction. Ultimately, our long term research goal is to reveal, map, and validate pathological receptor and signaling changes at different levels using combined techniques of molecular pharmacology, electrophysiology, biochemistry, imagining, and behavioural tests. Taking advantage of the cutting edge approaches of chemical biological, biophysical, and genetic tools, we aim to reveal the molecular mechanism underlying physiological and pathological behaviours. 1. Zhang H, Li T, Li S, Liu F. (2016) Cross-talk between α7 nAchR and NMDAR revealed by protein profiling. J Proteomics. 10;131:113-21. 3. Li S, Wong AH, Liu F. (2014) Ligand-gated ion channel interacting proteins and their role in neuroprotection. Front Cell Neurosci. 8:125. 4. Li S, Nai Q, Lipina TV, Roder JC, Liu F. (2013) α7nAchR/NMDAR coupling affects NMDAR function and object recognition. Mol Brain. 6(1):58. 5. Zhai D, Li S, Wang M, Chin K, Liu F. (2013) Disruption of the GluR2/GAPDH complex protects against ischemia-induced neuronal damage. Neurobiology of Disease 54:392-403. 6. Li S, Li Z, Pei L, Le AD, Liu F. (2012) α7 nACh-NMDA receptor complex is involved in cue-induced reinstatement of nicotine seeking. Journal of Experimental Medicine. 209:2141-7. 7. Wang M, Li S, Zhang H, Pei L, Zou S, Lee FJ, Wang YT, Liu F.(2012) Direct interaction between GluR2 and GAPDH regulates AMPAR-mediated excitotoxicity. Mol Brain. 5(1):13. 8. Lin Pei*, Shupeng Li*, Min Wang*, Mustansir Diwan, Hymie Anisman, Paul J. Fletcher, José N. Nobrega and Fang Liu. (2010) Uncoupling Dopamine D1-D2 Receptor Complex Exerts antidepressant-like Effects. Nature Medicine. 16:1393-5. (* co-contributor). 9. 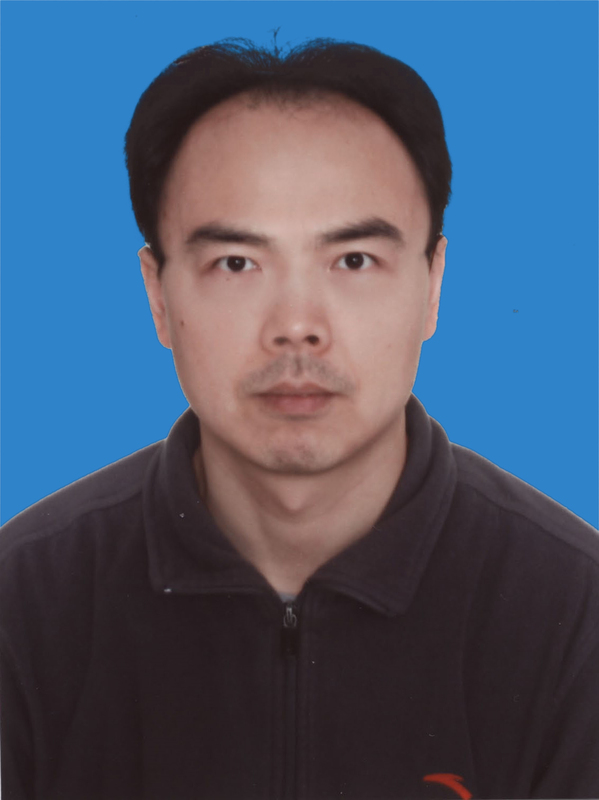 Qiang Nai*, Shupeng Li*, Szu-Han Wang*, Frank J.S. Lee，Paul W. Frankland and Fang Liu. (2010) Uncoupling the D1-NMDA receptor complex impairs NMDA-dependent LTP and working memory. Biologcial Psychiatry. 67:246-254. (* co-contributor). 10. Naha N, Li SP, Yang BC, Park TJ, Kim MO. (2009) Time-dependent exposure of nicotine and smoke modulate ultrasubcellular organelle localization of dopamine D1 and D2 receptors in the rat caudate-putamen. Synapse. 63:847-54. 11. Muhammad Imran Naseer, Li Shupeng, Myeong Ok Kim. (2009) Maternal epileptic seizure induced by Pentylenetetrazol: Apoptotic neurodegeneration and decreased GABAB1 receptor expression in prenatal rat brain. Mol Brain. 2:20. 12. Zhang H, Li S, Wang M, Vukusic B, Pristupa ZB, Liu F. (2009) Regulation of dopamine transporter activity by carboxypeptidase E. Mol Brain. 2:10. 13. Jiang Y, Pei L, Li S, Wang M, Liu F.（2008）Extracellular dopamine induces the oxidative toxicity of SH-SY5Y cells. Synapse. 62:797-803. 14. Lee HY, Naha N, Li SP, Jo MJ, Naseer ML, Park MS, Park TJ, Chung BC, Kim MO. （2008）In vivo and in vitro ethanol exposure in prenatal rat brain: GABA(B) receptor modulation on dopamine D(1) receptor and protein kinase A. Synapse. 62:534-543. 15. Lee HY*, Li SP*, Park MS, Bahk YH, Chung BC, Kim MO. (2007) Ethanol's effect on intracellular signal pathways in prenatal rat cortical neurons is GABA(B1) dependent. Synapse. 61:622-628 (*co-contributor). 16. Park MS, Lee HY, Li SP, Koh PO, Bahk JY, Chung BC, Kim MO. (2007) Survival change of ventral mesencephalon-derived progenitor cells after grafting into unilateral intact adult rat striatum. J Vet Med Sci.69:25-30. 17. Li SP, Lee HY, Park MS, Bahk JY, Chung BC, Kim MO. (2006) Prenatal GABA(B1) and GABA(B2) receptors: Cellular and subcellular organelle localization in early fetal rat cortical neurons. Synapse. 60(8):557-66. 18. Li SP, Park MS, Jin GZ, Kim JH, Lee HL, Lee YL, Kim JH, Bahk JY, Park TJ, Koh PO, Chung BC, Kim MO (2005) Ethanol modulates GABA(B) receptor expression in cortex and hippocampus of the adult rat brain. Brain Res. 1061:27-35. 19. Li SP, Kim JH, Park MS, Bahk JY, Chung BC, Kim MO. (2005) Ethanol modulates the expression of GABA(B) receptor mRNAs in the prenatal rat brain in an age and area dependent manner. Neuroscie 134:857-66. 20. Li SP, Park MS, Kim JH, Kim MO (2004) Chronic nicotine and smoke treatment modulate dopaminergic activities in ventral tegmental area and nucleus accumbens and the gamma-aminobutyric acid type B receptor expression of the rat prefrontal cortex. J Neurosci Res. 78:868-879. 21. Li SP, Deng YQ, Wang XC, Wang YP, Wang JZ (2004) Melatonin protects SH-SY5Y neuroblastoma cells from calyculin A-induced neurofilament impairment and neurotoxicity. J Pineal Res. 36:186-191. 22. Li S, Park MS, Kim MO (2004) Prenatal alteration and distribution of the GABA(B1) and GABA(B2) receptor subunit mRNAs during rat central nervous system development. Brain Res Dev Brain Res. 150:141-150. 23. Li S, Kim KY, Kim JH, Kim JH, Park MS, Bahk JY, Kim MO (2004) Chronic nicotine and smoking treatment increases dopamine transporter mRNA expression in the rat midbrain. Neurosci Lett 363:29-32. 24. Li SP, Park MS, Yoon H, Rhee KH, Bahk JY, Lee JH, Park JS, Kim MO (2003) Differential distribution of GABA(B1) and GABA(B2) receptor mRNAs in the rat brain. Mol Cells. 16:40-47. 25. Kim MO, Li S, Park MS, Hornung JP (2003) Early fetal expression of GABA(B1) and GABA(B2) receptor mRNAs on the development of the rat central nervous system. Brain Res Dev Brain Res. 143:47-55. 26. Bahk JY*, Li S*, Park MS, Kim MO (2002) Dopamine D1 and D2 receptor mRNA up-regulation in the caudate-putamen and nucleus accumbens of rat brains by smoking. Prog Neuropsychopharmacol Biol Psychiatry. 26:1095-1104. (*co-first author). 27. Li SP, Park MS, Bahk JY, Kim MO (2002) Chronic nicotine and smoking exposure decreases GABA(B1) receptor expression in the rat hippocampus. Neurosci Lett. 334:135-139.